Learn how to cook gluten free pasta so it is al dente every time! Avoid mushy pasta by following these simple tricks and you’ll see that learning how to eat gluten free doesn’t have to be difficult! 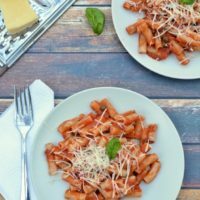 Do you hate mushy gluten free pasta? This hack will help you learn how to cook gluten free pasta to tender perfection. 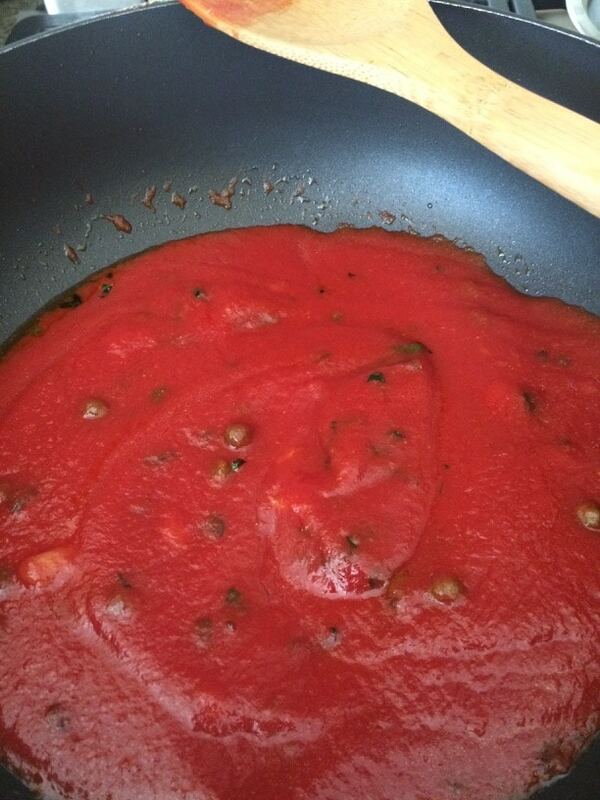 Try it with this simple gluten free marinara sauce recipe. If you want to learn how to cook gluten free pasta that isn’t mushy, keep reading to see this famous pasta hack! Have you visited a restaurant and found that the staff went so far above and beyond to help you that it left you with a happy feeling inside? I am constantly amazed at how kind and helpful restaurant employees can be. Being gluten free for medical reasons, I rely heavily on the restaurant staff to make sure our family doesn’t get sick when dining out. From the wait person who helps us muddle through the menu trying to find out what items are safe to eat, to the chef who took a few minutes to leave his busy kitchen to answer my questions about cross contamination. I am forever grateful when it works and I don’t get sick. Every once in awhile through these acts of kindness, I learn something new that improves how I cook in my own kitchen. My husband and I wanted to try to a new Italian restaurant, Sorrelle Italian Bistro in Campbell, CA, that opened up just a few minutes from our house. When I called to ask if they had any gluten free options, the owner told me they didn’t have gluten free pasta dishes. The owner then offered something wonderful. She told us that if we brought a bag of our own gluten free pasta, they would create something special for us. No restaurant has ever offered something like this and we were intrigued. We decided to give this new restaurant a try, so I packed a bag of gluten free pasta in my purse. When our pasta dishes came out, I couldn’t believe how delicious the pasta was. It was firm. It is the first gluten free pasta I could say was really al dente! When I cooked gluten free spaghetti and pastas, I usually ended up with something a little mushy. Over the years my kids have been brainwashed to accept “mushy” gluten free pasta. After a while, they forgot what real firm pasta was even like. The restaurant used the same brand that I use and I couldn’t figure out what they could have done differently. I was so curious to know how they cooked the pasta. When I complimented the owner, I begged for her secret. She told me exactly how to cook gluten free pasta to al dente. 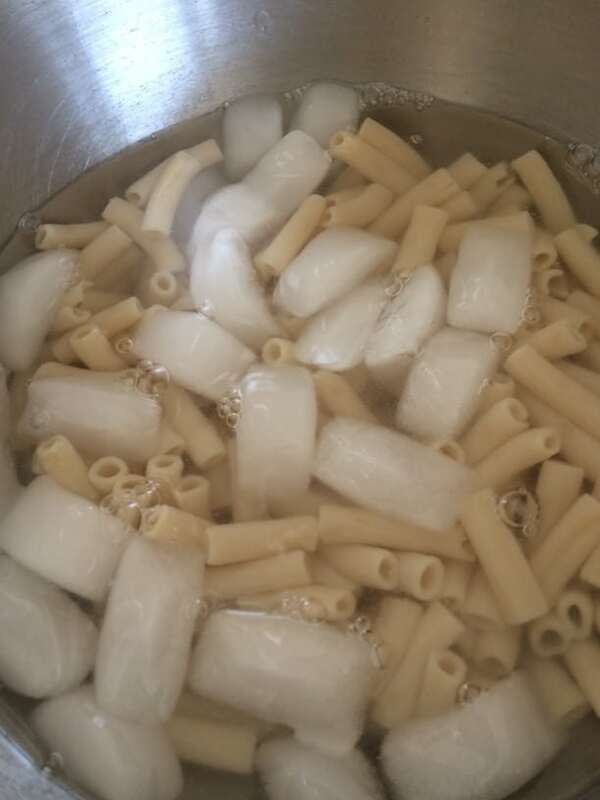 I am so excited to share this simple pasta hack with you!! It has put gluten free pasta back on the menu in our home. 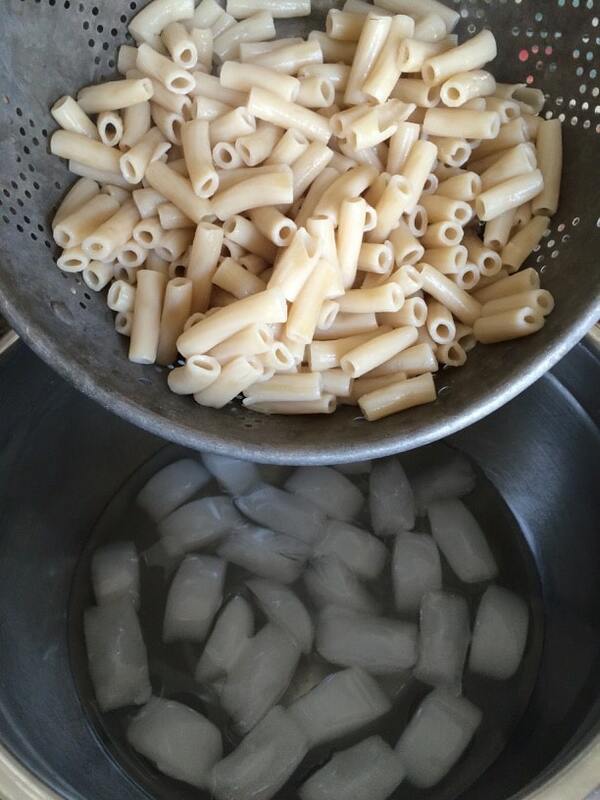 The secret to firm pasta starts with an ice water bath. This halts the cooking process immediately so the pasta doesn’t continue to cook in the colander. If you drain your pasta in a colander, or drain it and leave it in the pot, the heat from the pasta continues cooking the pasta and you can end up with mush. 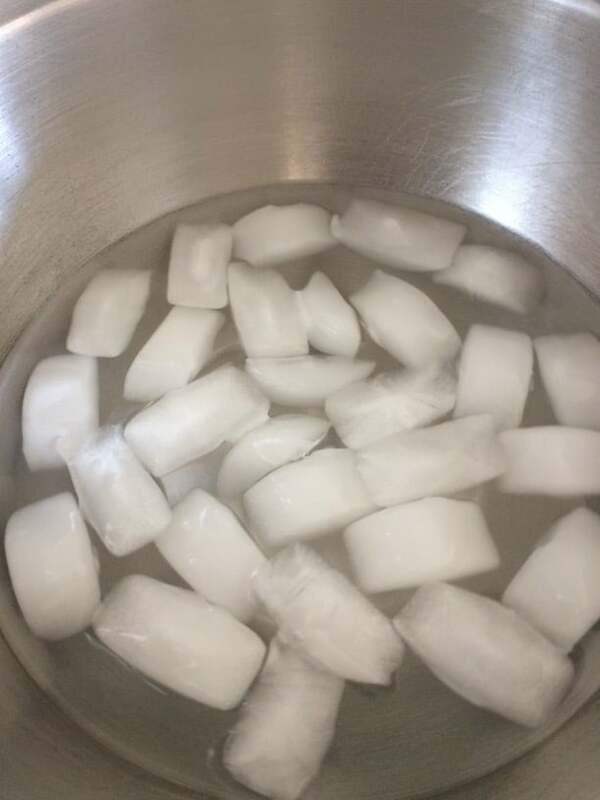 To make an ice water bath, add ice and water to a medium sized bowl. Hot gluten free pasta about to be added to the ice bath. Chill for 2-3 minutes until the pasta is cooled. If the ice didn’t melt all the way, remove any ice cubes that remain in the pot. Drain the pasta in a colander. 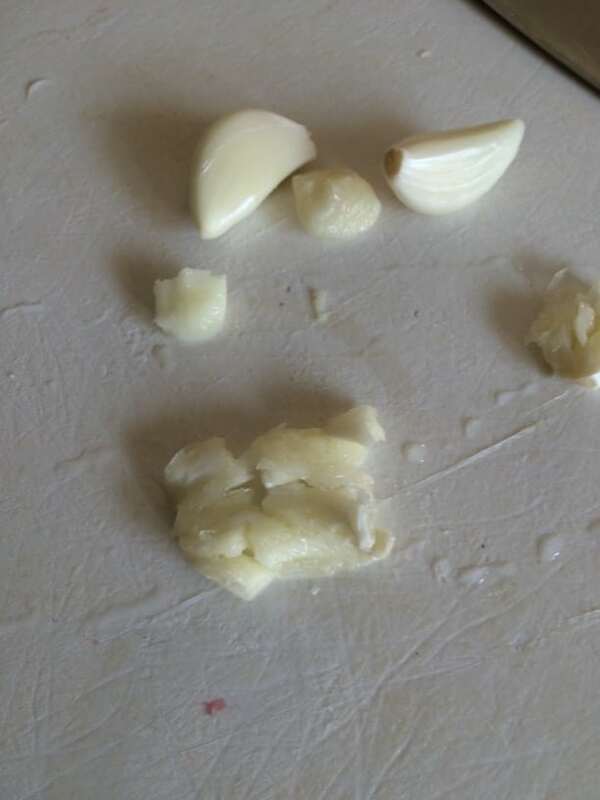 With a large knife, smash two garlic cloves with the flat part of the knife. Saute in a pan with olive oil. Heat a pan with olive oil and saute the garlic until it becomes golden. Add fresh basil. Add in organic tomato sauce and capers. Simmer for 10-15 minutes for flavors to blend. Add salt and pepper to taste. Add the cold pasta and it warms up quickly with the sauce. Toss and serve hot. You can also try this easy pasta hack on this delicious pasta with meat sauce recipe. A good metal colander. Don’t use a plastic colander for hot pasta. Most plastic is not safe when heated and it can release chemicals into your food. This large mixing bowl to do an ice bath. 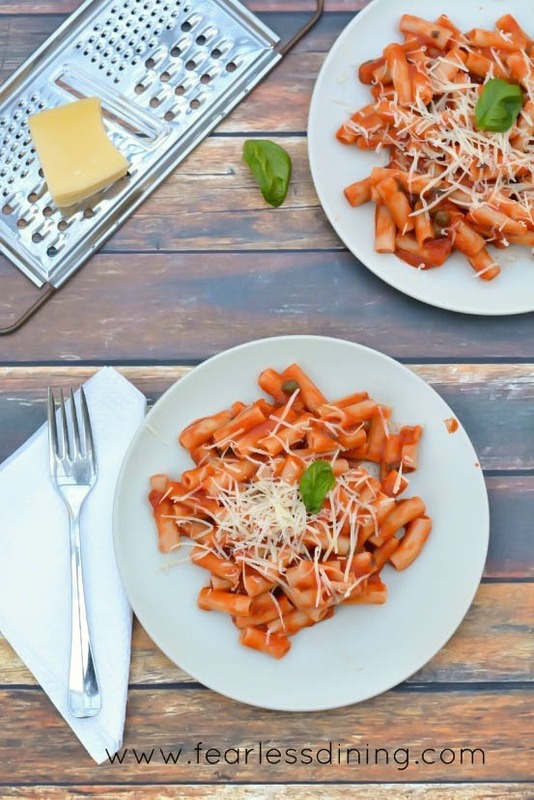 Learn how to cook gluten free pasta to al dente perfection and then serve it with this delicious quick and easy marinara sauce. Add garlic and saute until golden. Add fresh basil and saute another 2 minutes. Add tomato sauce, capers, oregano, salt and pepper. Reduce heat and simmer the sauce for 15-20 minutes. Toss with cooked gluten free pasta and top with freshly grated parmesan cheese. 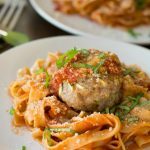 Now that you know how to cook gluten free pasta, you can use the method when you make your favorite gluten free pasta dishes. This hack is a life saver! And such a kind and thoughtful thing for the restaurant to do! I was so excited. This restaurant has certainly gotten very popular. It is tiny and they always have a line out the door of people waiting because they don’t take reservations. Great tips! Mushy pasta is the worst, my husband likes them perfectly al dente. Thank you Trang…it is funny giving pasta an ice bath, but it also makes a lot of sense. Would you believe I already knew this, but never do it? LOL Silly, to say the least! I still forget if I’m in a hurry. love your step by step photos! I shock my veggies all of the time… what a great trick! Brilliant! Such a good tip. This looks so fresh and delicious! Nice Tips and what a great restaurant!! Sounds like an awesome restaurant and an awesome tip! Thanks! Thank you so much for this info and recipe. Tonight I am eating soggy gf pasta that I cooked last night (package claimed you can’t over cook their pasta, it was al dente when I drained it and put it into the sauce to heat up for few minutes-was soggy by time I ate it). Next time I make gf pasta I will definitely try your tips. This my friend is a post we all can use. Nobody likes to eat gf pasta mush! Its an art for sure! I’ve done the shock method for my veggies, but never GF pasta. Happy to give it a shot. 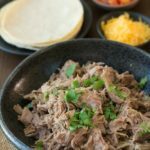 What a wonderful fresh recipe – perfect for an easy week night meal, yum! And secondly, a really good reminder….if you don’t ask, the answer will always be no, right? Good for you to even think to ask and yay for us for you to share your knowledge. Thanks for the great tip! This is a such a wonderful recipe for pasta. 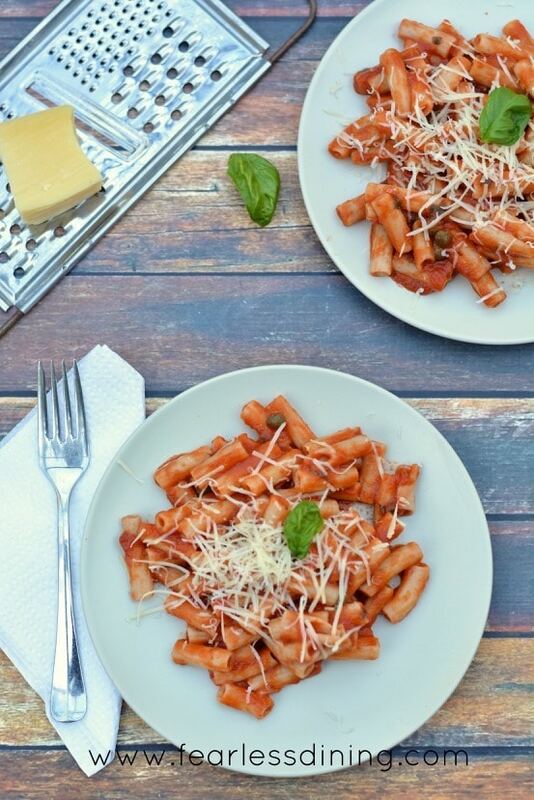 I am a huge lover of pasta and I am always searching for great recipes like yours. I was at a steakhouse once and they didn’t have anything vegetarian on their menu except corn on the cob. The chef actually made me a wonderful sandwich and pasta dish. They didn’t have any pasta in their kitchen, so, he sent out a staff member to buy some pasta from a grocery store. He really went above and beyond. Well, you learn something new everyday! What a great tip! I’ll be using it from now on. Thanks! Definitely going to have to try this! We recently found a brand of pasta that seems to be a cut above the others, but mushiness is still a very real problem. This is awesome…you are lucky! So… I’m calling that new restaurant a keeper!! And so is your tip. We occasionally have GF pasta, but my kids reject it due to the “mush”, so I just don’t do it all that often. I’m totally trying this! what a great resource! I think this will help so many! 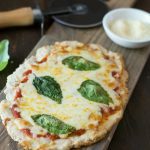 I would love to add it to our resource page on Gluten Free Mama’s Gluten Free 101. Please Le me know if that is acceptable to you. Great job! 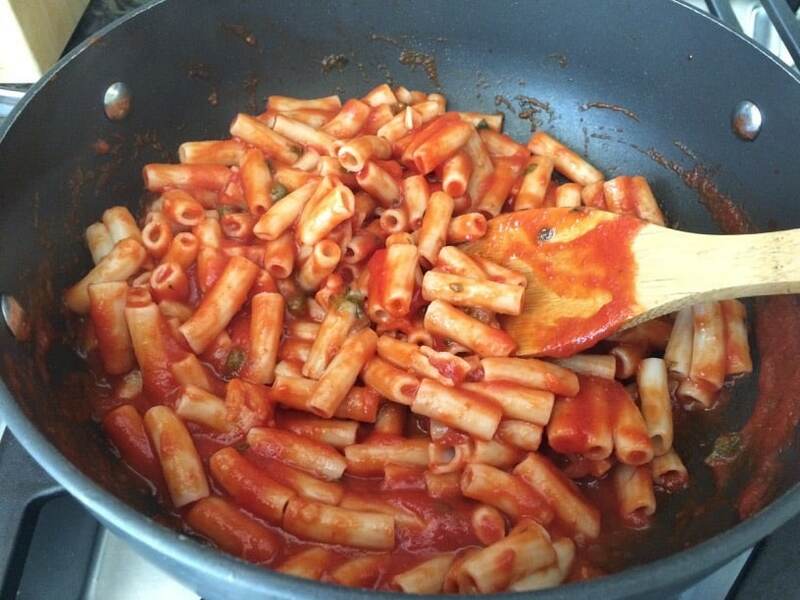 Thank you Sharon…I can’t believe the difference it made for rice pasta. What a great tip. I’ve always seen that technique done for halting the cooking of various vegetables, but haven’t done it for gluten free pasta. Can’t wait to try! It really works Kelly 🙂 I don’t know why it never occurred to me. Will the ice method work for keeping Alfredo pasta aldenti for party without going mushy. Hi Sarah, That is such a good question. How long do you need the pasta to stay hot? I use this method with butter, parmesan, and salt for a pasta dish and I put it in my kids’ thermos for lunch. They said the pasta doesn’t get mushy. If you can give me more of an idea how you are doing this for your party, maybe we can test it out. Aka, my kids love alfredo and they want to test it out for you :-). PS I have an amazing alfredo recipe on my blog if you need one.